During the development of the Monark 894E Anaerobic Ergometer the priority was to create a safe and easy to use bike as well as an attractive design. The Windows based software, with more setting possibilities and a clear presentation graphic, is easy to use. The Monark 894E has double sensors, faster electronics and improved mechanics which minimize the possibility for problems during the work with anaerobic tests. 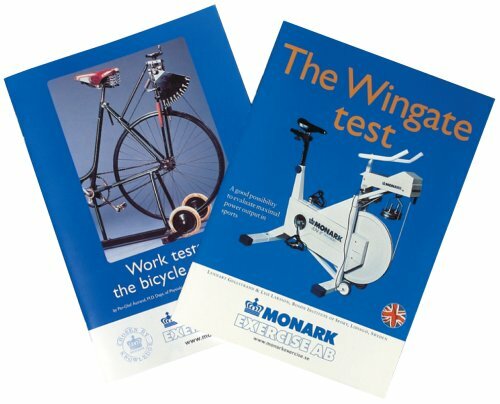 The Monark 894E Bike also works as a regular weight ergometer. Call 1-800-875-9145 to speak with one of our fitness advisors with any questions you may have. Go to FitnessZone.com today to order your Monark 894E Anaerobic Test Ergometer Bike. A sampling frequency of 50 Hz and a 0-start option in the software makes this bike the ultimate tool when measuring acceleration. The bike can be fully loaded (up to 10kg) before starting the test which makes it possible to measure Time to peak with high accuracy and high resolution. Peak Power and other parameters gives a lot of information of the anaerobic capacity, but does it really measure the anaerobic endurance of the athlete? By making repeated sprints in one single test, the anaerobic endurance can be evaluated and analyzed. With the new parameters Decrement in Peak Power and Peak Power fatigue index, we test for the future. The Peak Bike also works as a regular weight ergometer. Adjustable saddle; vertically and forward/backwards. Width 670 mm (26,5") at support tubes. 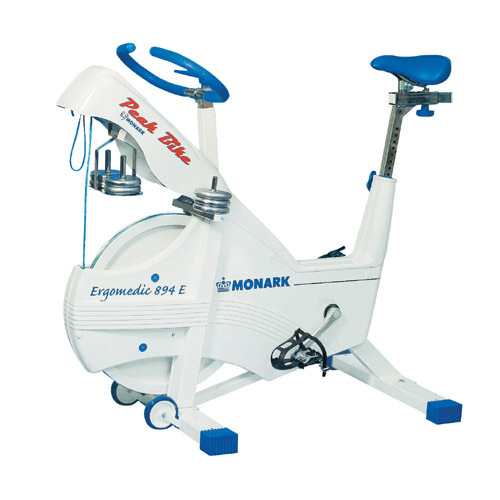 Order your Monark 894E Anaerobic Test Ergometer Bike from FitnessZone.com today!